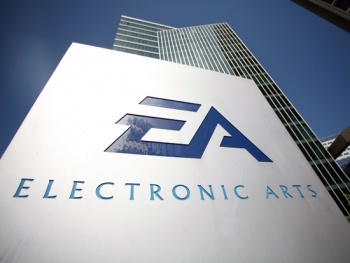 Andrew Wilson, who took the reigns of EA last year, wants to turn over a new leaf for the company that has regularly been voted one of the worst in America by consumers. For those of you keeping track at home, Electronic Arts has been a regular contender for the "Worst Company in America" run by the Consumerist blog, though it did lose out early to Time Warner Cable in the most recent round. Well, EA's not looking to take back the position any time soon, according to a recent interview by The Guardian with EA's chief executive, Andrew Wilson. Wilson, who became the head of EA about a year ago, wants to bring a new philosophy to his company, one that will win back the trust of gamers and make sure EA doesn't once again "win" the Consumerist's dubious award, as it did in 2012 and 2013. "I hope we never appear on that list again, I truly do," he said. His new goal is to make EA a "player-first" company. If players become "the lens through which we see the world," its a win for both EA and gamers, he said. "Players end up with great games, the people who work for the company end up working in a much more positive place and ultimately the shareholders will get a return." "We decided that we couldn't get an innovative Need For Speed title out this year so for the first time in 17 years we're not launching one, we're giving the team extra time. We moved Titanfall on Xbox One out of our fiscal year; we moved Dragon Age, we moved Hardline. These were difficult decisions. The business of what we do, as measured by the stock price and fiscal returns, has grown - to me that's reassurance that we're doing the right thing." He also addresses another black eye for EA, the launch of the "free-to-play" Dungeon Keeper earlier this year. "As you push the boundaries, things are not always going to go how you like," Wilson said. "One of the things we've tried to do is give our teams more space to evaluate where they are at at any given moment in time and change development process to facilitate that." Wilson believes that his company is at a point where they are more free now than ever before to experiment with games, adding that he wants to bring in player input earlier to better help construct games. "This whole concept of the industry hiding everything until the very last moment is an outdated way to make games. Invite people in as early as you can, deal with the feedback and build that back into the game. What you get two or three years down the track are amazing games built with the help of the community." What do you think of Wilson's words on the new EA? Its comforting to hear EA talking about learning from their mistakes, but are you willing to believe them on face value? Let us know in the comments.